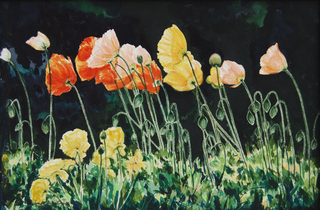 VIVA is a non-profit organization supported by four local art organizations (Women Painters West, Valley Watercolor Society, Collage Artists of America, and Valley Artists Guild) who have joined together in a commitment to open and operate a permanent arts center prominently located in the San Fernando Valley. VIVA provides artists with the opportunity for critical exposure and public appreciation in a professional environment. These long-standing art organizations have continuously contributed to the community in the form of scholarships to selected art students, as well as providing volunteers to teach art and institute art programs at local schools. 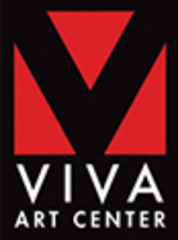 VIVA is not intended to be a museum or a commercial gallery. Rather, it functions as a municipal exhibition space, offering a comprehensive look at the vibrant and vital visual art scene in the region. 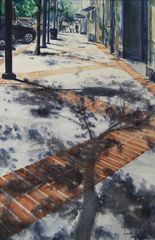 Each month VIVA hosts a new group exhibition of works by talented artists (see our Calendar for upcoming events). We also feature the work of individual artists in our Salon. In addition to a lively schedule of exhibitions, VIVA offers an exciting and diverse program of demonstrations by noted artists, lectures by recognized art experts, and instructional workshops in various styles and media. As a non-profit organization we must rely heavily on the support of local art groups, corporate sponsorships, public donations, and federal, state and city funding in order to continue to provide this much needed cultural outlet for our community. VIVA wishes to express its gratitude to the Los Angeles County Arts Commission, the Los Angeles Cultural Affairs Department, and The Roth Family Foundation for their generous grants.